Hey coach do you remember which coaches influenced your life? I certainly do, almost ever single one of them. The good ones and the bad ones. We remember them because they were a big part of our lives. They most definitely help mold our personalities. When you think about it, coaching is a serious responsibility. So coach, how will you be remembered? Do you want to be the coach that who instills confidence or undermines it? Do you want to be the coach who develops players who advance in a sport, or the coach that drives players to quit? Take the quiz to see what kind of coach you are. 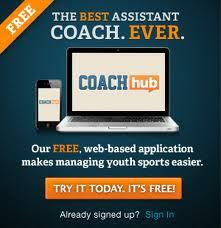 Or parents, take the quiz about your coach to see what kind of coach is influencing your child. Write down the question number and record the letter answer. At the bottom of the quiz there is key to determine the status. 1) Tactical knowledge. A good coach knows the strategy of the game. a) Very positive - Builds confidence in every kid regardless of ability. b) Somewhat positive - Connects with most kids to build confidence. c) Neutral - Usually instills confidence, but occasionally undermines it. d) Somewhat negative - Rarely instills confidence, more often than not undermines it. e) Very negative - Undermines confidence until players leave the team or quit the sport. a) Very positive - Gets to know each player as an individual and knows what motivates them. b) Somewhat positive - Motivates everyone the same way. c) Neutral - Usually motivates kids, but occasionally undermines motivation. d) Somewhat negative - Rarely motivates kids, more often than not undermines it. e) Very negative - Demotivates players until they leave the team or quit the sport. e) Very negative - Constantly cuts down players and does not give any clues on how to improve. a) Very positive - All communications are positive. Players are never afraid to try things. c) Neutral - Mixes both positive and negative comments equally. d) Somewhat negative - Yells constantly and is often negative. Kids play tentatively. e) Very negative -Yells at players, umpires, other coaches creates a bad environment. c) Neutral - Basic level of communication regarding schedules, rain outs, ect. e) Very negative - Negative comments overshadow any positive information. a) Very positive - Always treats players, opponents, referees and parents with respect. b) Somewhat positive - Usually treats players, opponents, referees and parents with respect. c) Neutral - Typically respectful, but sometimes loses cool. d) Somewhat negative - Often does not respect others and loses control of temper. e) Very negative - Not at all a good role model, should be banned from coaching kids. a) Very positive - Manages difficult players with aplomb and motivates them to be team players. b) Somewhat positive - Handles most situations well, makes difficult decisions when needed. a) Very positive - Manages difficult parents with aplomb and motivates them to be supportive. c) Neutral - The star player improves with no special treatment. e) Very negative - Completely undermine the star player with overuse or negative abuse. b) Somewhat positive - Usually wins by developing players and inspiring team play. d) Somewhat negative - Winning is more important than fun and player development. e) Very negative - Win at all costs, player development is not emphasized at all. Willing to cheat. 13) Ability to make the kids love the game. a) Very positive - Every member of the team loves the game more after the season. b) Somewhat positive - Most kids develop a love for the game. c) Neutral - Coach neither instills the love of the game nor erodes it. d) Somewhat negative - Coach erodes a kid's love for the game. e) Very negative - Kids leave the team or quit the sport because of the coach. 14) Ability to effectively distribute playing time that matches skills and effort. a) Very positive - Every player gets their fair share of playing time to maximize development. b) Somewhat positive - Mostly equitable, most kids get their fair share of playing time. c) Neutral - Mostly equitable, but stars play more in difficult situations. d) Somewhat negative - Playing time is not distributed evenly to match skills and effort. e) Very negative - Less stilled players are relegated to bench, coach's kid gets favorable treatment. a) Very positive - Team is managed like a successful business. b) Somewhat positive - Team is mostly managed well, problems are handled. c) Neutral - Coach delegates the work, finances, scheduling and it is managed well. d) Somewhat negative - Finances, scheduling and communications are often in flux. e) Very negative - The team finances, scheduling and communications are a disaster. Coaching is bigger than X's and O's. You are not just developing players, you are developing young minds. Minds that will remember you. So, will you be remembered as a coaching legend or not? Wow - my son's baseball coach needs to reconsider coaching or I need to find my son a new team. He got a -5. My son's baseball coach is a 115. His basketball coach was an a borderline good coach. My coach needs a restraining order - thanks for the perspective. I have to find another team for my kid. 63 I have some work to do. a zero, but I knew that. It was a surprise he ended up the coach, and if we had known he was going to be a coach before we signed the dotted line, we never would have. We were told they didn't use parent coaches, clearly not what is happening.